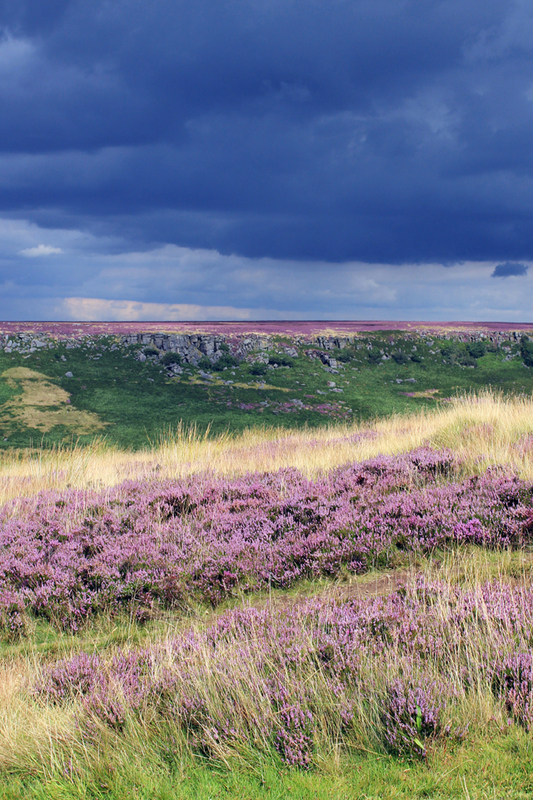 In late summer the moors and hills of the Peak District are magically transformed into huge swathes of purple and mauve. 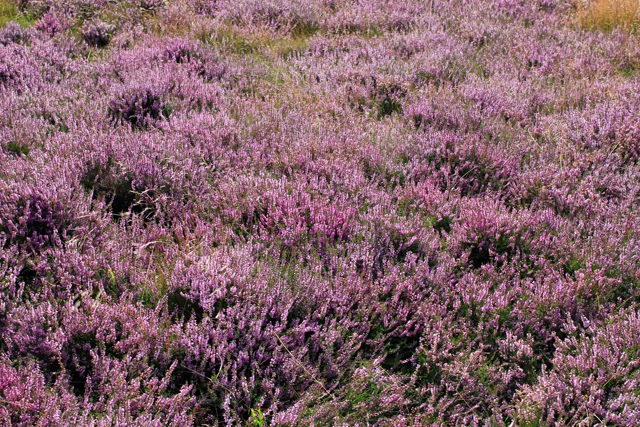 When heather comes into bloom, the wild countryside is one of the most beautiful and striking sights and such a contrast from the usual tones of green and brown. I was spending the day on my own so decided to pack the car with art supplies, with every intention of going to draw and possibly even paint the landscape. 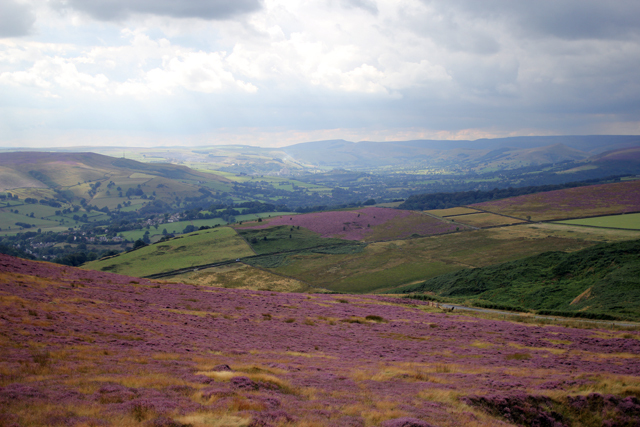 On arrival, the Peaks were bathed in bright sunshine, emphasising quite how magical the heather looked and I was excited at the prospect of finally being able to paint outdoors for the first time in forever. However by the time I reached my chosen destination, there were suspicious dark skies on the horizon. Unperturbed, I climbed up to a perfect spot where I could lean on the rocks and look out over the perfect view. I decided to start with a warm-up sketch before I would crack out my easel and acrylics. As I sketched away, I was deep in thought as drawing for me is one of the few things where I don't get easily distracted and can concentrate on for hours. The dark skies in the distance suddenly weren't all that far away, the wind had picked up and it suddenly got very cold. Not wanting to risk destroying my work (and my camera!) I decided to take this as my cue to start finishing off my drawing and to pack away my things. Just as I sat down in the car the skies opened with what can only be described as apocalyptic rain. Looking at things on the bright side, the stormy clouds did make for a wonderfully dramatic view and produced great colours in my photographs. Plus, the warmth from the ground combined with the heavy downpour created a gorgeous, eerie mist that rose up from the trees and ferns in the valley. I'm hoping I will get to cross painting outdoors off my Summer Bucket List by the end of the summer, I just need the weather to be on my side! Amazing photos! I so want to be on that exact spot. Those are some seriously dramatic photos you've got going on there. Wow. I just... can't. I hope you manage some un-rained-on painting time before the summer ends - I'd love to see the finished results! Beautiful photos - I love the Peaks. I think sometimes the rain refreshes everything and I do like it on a summer's day, but it does make activities outside difficult! 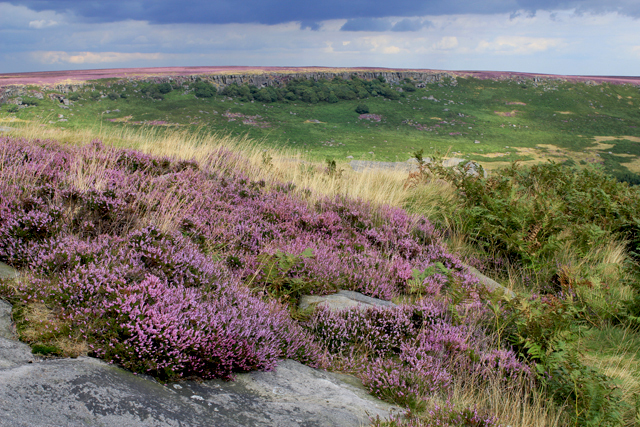 Wow that heather sets a stunning foreground out to the peak district for sure. 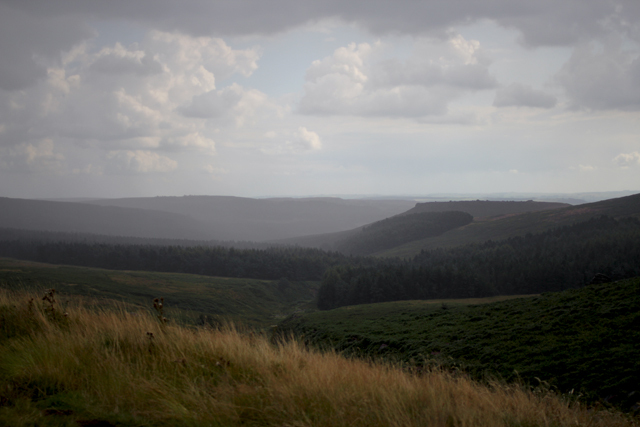 |Reminds me of the trips over the moors. I may or may not be biased because my name is "Heather," but I love these pictures, especially the sunlight in the second one. These photos are amazing! I would love to see the art work to match too. Here we have the tulip fields that do a similar thing, the bloom and then you can see stripes of colour from all the different flowers. I haven't seen them in person (it's on my list!) but I have seen really beautiful photos. yicks! those are very dark clouds! Stunning scenery! I still havent visited the lake district but this really makes me want to go even more! ahhh... I have been to London, but never beyond.. This place looks so lovely. Great photography skills!